With their friendship in tatters after a series of betrayals, Gotrek and Felix march south at the head of a ragtag army, intent upon driving the forces of Chaos out of the Empire and returning Felix to his wife. But Gotrek’s doom is at hand, and great powers are at work to ensure that he meets it. 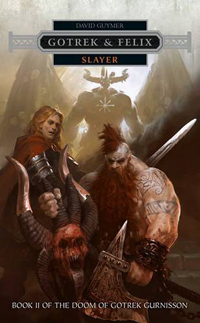 With enemies on all sides and destiny calling, Felix must make a choice: to follow Gotrek into the darkness that awaits him, or to abandon his oldest friend once and for all. David Guymer is the author of previous Gotrek & Felix novels Kinslayer and City of the Damned, along with the novella ‘Thorgrim’ and a plethora of short stories set in the worlds of Warhammer and Warhammer 40,000. 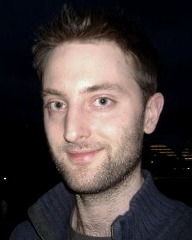 He is a freelance writer and occasional scientist based in the East Riding. David was shortlisted for the Morningstar Award in 2014.